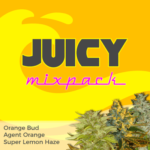 I think to begin with, i first need to state that growing Autoflowering Seeds in England in against the law, as is the cultivation of any Regular or Feminized Cannabis Seeds. That said, should you choose to plant and grow Autoflowering seeds outdoors, you may wish to read a little information about them first. 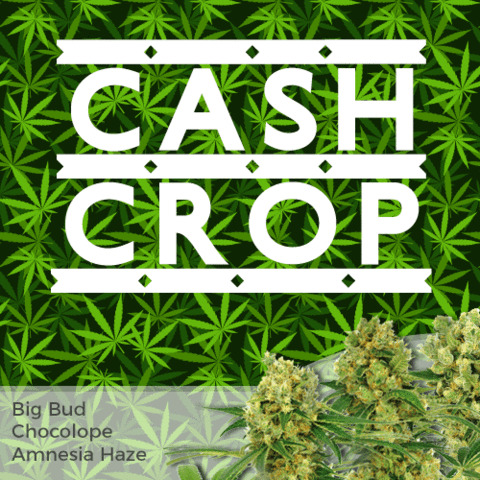 The growing phenomenon that are Autoflowering Seeds has become the ‘Buzz’ word in the Cannabis circles and communities around Europe. 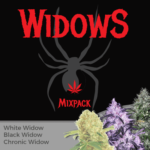 First introduced by the Joint Doctor, with the Lowryder, and subsequently improved, Lowryder 2, many of the popular and most well known Cannabis Seed breeders have produced their own varieties and strains. Why? Just why, have so many of the standard and Feminized Cannabis seed breeders incorporated these strains into their catologues? Is it for the growers benefit? Is the market that big? We take a look behind the curtain, and examine one of the first Cannabis conspiracy theories. 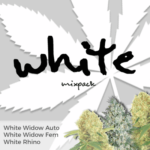 Autoflowering Seeds Lowlife Hindu Kush. Now why, or indeed how, would anyone come to the conclusion that there was a conspiracy behind the production and indeed the achievement of Autoflowering Cannabis Seeds. As many people are already fully aware, the growing of Cannabis is not legal in Holland, or Amsterdam. It is tolerated, i could go into the technical details, but suffice to say, if Dutch people want to grow just a few plants for their own consumption, then the law will choose to ignore them, much as it does the tourist who blatantly walks around the streets smoking a big ‘Spliff’ because he can, although it is these people, that both the Dutch, and the Amsterdam smoking community do not wish to encourage, so please, all you ‘Brits Abroad’ enjoy your smoke, and let those that wish to participate, do so, whilst leaving the rest of the community at peace. It has been a long excepted fact amongst the Dutch smoking community that growing Cannabis from a seed is ok, however, the Dutch authorities take a far more stern approach with clone gardeners. This is due to the fact that all of the Dutch seed companies are registered, and as such pay tax. If a person buys Cannabis seeds from their outlets, whether internet or Coffee shop based, the Dutch Government get their percentage in the form of taxes, and so Cannabis is treated in a similar financial vein as any other business. 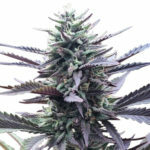 Now to the Cannabis Clone gardener, he has no registered business, and so pays no taxes, thus all the revenue raised is considered ‘Black-Market’ and as a Clone gardener sells rooted Cannabis Clones, he reduces the need to buy Cannabis Seeds, and so, reduces the taxes raised on the sale of Cannabis Seeds. Neither the Cannabis seed companies, or the Dutch authorities enjoy being cut out of the loop by a Clone gardener. The penalties by the Dutch authorities for Cannabis Clone gardeners mean most grow from seeds, however, across Europe, the boom in Cannabis Clones has become rife, almost to the point where a clone gardener can charge as much for a Clone as the genuine seed company did for the seeds. Without the need to purchase the seeds to grow Cannabis, not only do the Dutch Authorities lose revenue, but the breeders and and Cannabis seed produces and distribution shops do too. Could it be possible that both the authorities, and the seed company’s are tired of these clone gardeners and have found a way to suppress the demand for cuttings and clones, and return to purchasing Cannabis Seeds? One thing is for sure, with the tightening of restrictions on who can be served in the Amsterdam Coffee Shops affecting profits more and more as the restrictions are tightened every year, and the decrease in demand for Cannabis seeds, due to the global rise of clone gardeners, something had to be done to prevent the further fall in profits, and the ultimate collapse of many of the Cannabis seed breeders. 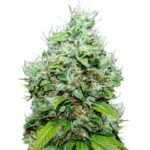 Autoflowering Seeds may not be the Conspiracy theorists dream, perhaps it’s just the twisted ramblings of one person, who knows, here at, our love of Autoflowering Seeds gives us a biased and jaded opinion, however, we thought we would let you know, just the same. If you would like to learn more about Autoflowering Seeds and how to grow them, click below.